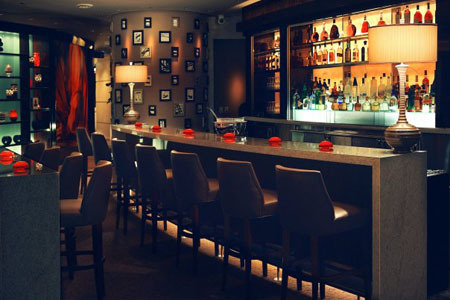 REBAR is located in Trump Towers, and they really give you that upscale experience that you're seeking. They've got a minimalist sushi menu and everything on it is mouthwatering and delicious. The windows stretch floor to ceiling, giving you an unforgettable view of Michigan Avenue. They are known for their spiked punch, so even if you're strictly a beer lover, you'll want to put down the pint for a moment and give that a try. Fabulous service, unbelievable atmosphere, and very comfortable seating.